Are you following along in the CAL? Because it is time for Block D! I have to give props to the pattern designers because they stitches do a great job of building on each other. 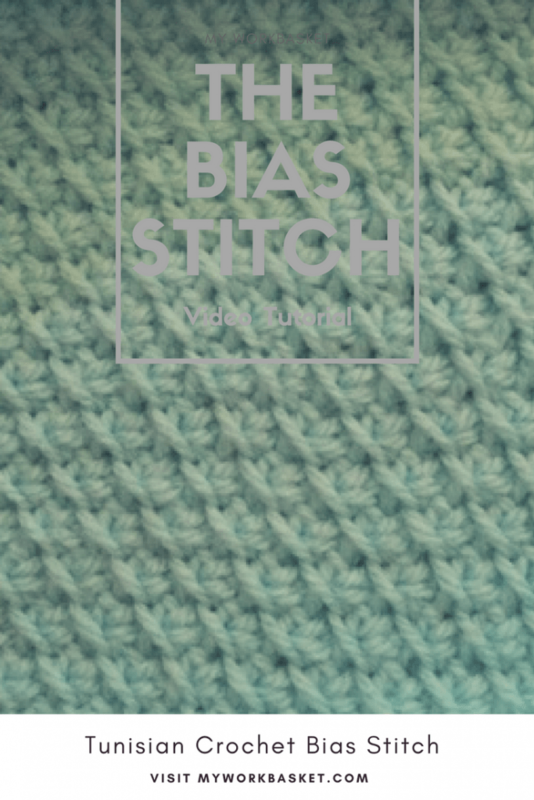 The new stitch is the Tunisian Bias Stitch and this new stitch utilizes the same techniques as the Simple Stitch and the Crossed Stitch. 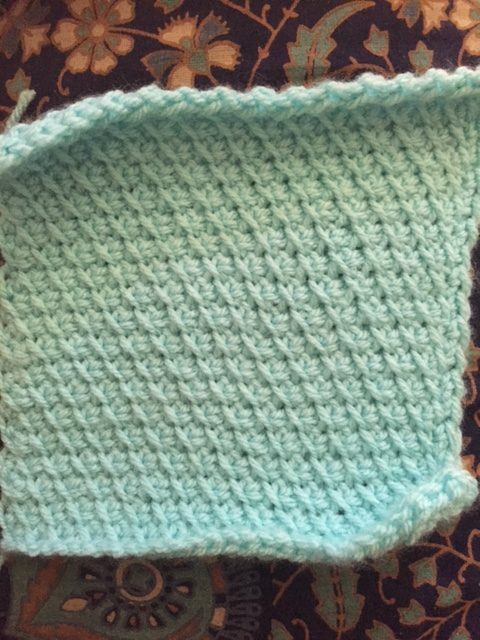 Here is what my finished squares are looking like. This colorway is Light Teal in Studio Classic yarn from Ac Moore. If you haven’t joined the Crochet Along it isn’t too late! You can get started here! The chalkboard behind me is like my brain. On the left is the snack list of foods my son can pick from, and on the right is a list of easy to paint ideas for rock painting. I talked about Rock Painting in my Weekly Workbasket recently, and this list is to help crank out all those rocks.